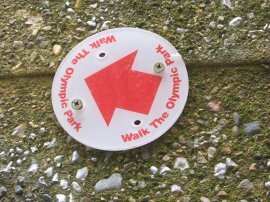 I did this walk on Sunday 1st July, walking from my house down to Stratford and taking in the site of the 2012 Olympic Games on the way. 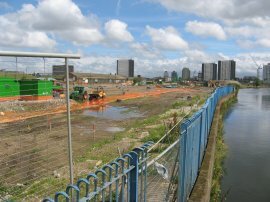 From the 2nd July the Olympic games developers were taking control of the site and thus this was the last opportunity to walk the roads and footpaths of the area before they disappeared from public view. It will be interesting to see what the area looks like once the games venues have been built and free access is once again possible, whenever that might be. 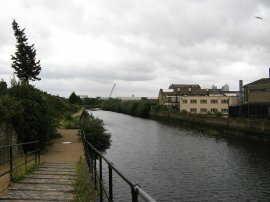 Photo 46 shows the Carpenters Road Lock by the junction of the Old River Lea and City Mill River. For the Olympics it is proposed this site will be covered by a a bridge, the following is from the tender document. 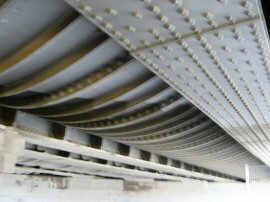 "The bridge will span approximately 26m over Carpenters Lock on the River Lea Waterway and is to be constructed in two permanent separate spans for Legacy with a temporary bridge constructed between the two permanent spans to provide a bridge width of approximately 50m. It is envisaged that the temporary span will be removed after the Games. The design of the bridge must be in keeping with the overall design language established for the Park". I will try and remember to pay a return visit in five years time! 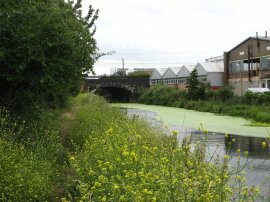 Crossing over Marshgate Lane, photo 47, I headed along the footpath that runs besides the City Mill River, photo 48. By Marshgate Lane there was a signpost pointing along the bank towards Carpenters Road although this section of path has been closed for some time. 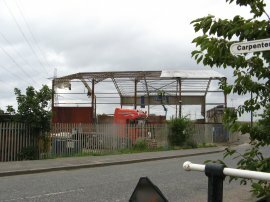 As I crossed the road a group of workmen where slowly dismantling the steel skeleton of an industrial unit, one of the few buildings remaining in the area. 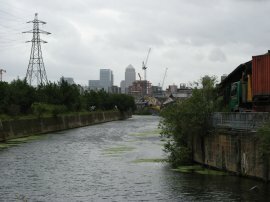 As I headed down besides the City Mill River the buildings of Canary Wharf came into view on the horizon, photo 49. 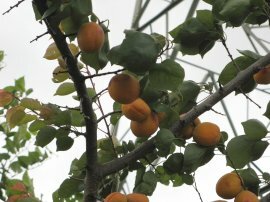 Walking along tthid part of the riverbank I spotted an Apricot tree, photo 50, growing on the waste ground on the other side of the fence, its branches packed with fruit. 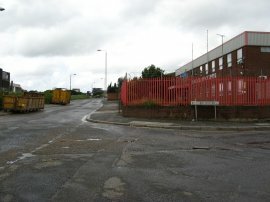 On the right hand bank of the river was lined by a variety of industrial units, some very run down and derelict, others seemingly operating as normal, photo 51. 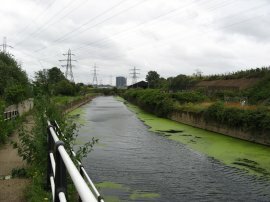 Heading further down the river the route passes under some railway lines, photo 52, and under the pipes of the Northern Outfall Sewer before returning to the river bank by Blaker Road, photo 53. Passing under the sewer I spotted a "walk the Olympic park" marker, photo 54, screwed to the concrete wall of the subway, a short lived walk designed to encourage people to visit the area before the Olympic developments began. 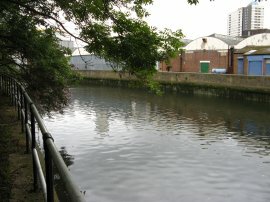 By Blaker Road, the City Mill River curves round to the right to join the Bow Back River besides an abandoned boat that sits on a patch of waste ground, photo 55. 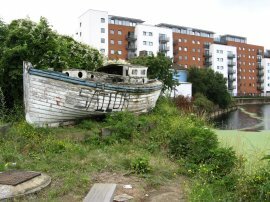 Just past the abandoned boat Blaker Road crosses the river besides City Mill Lock, photo 56. 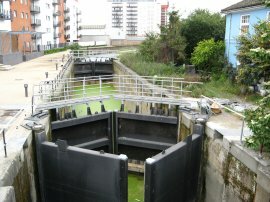 This lock has recently been re-built with new bi-directional gates. 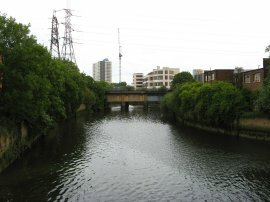 To the left the Bow Back River joins the Waterworks River. Photo 57 was taken looking towards the bridge the carries the Northern Outfall Sewer / Greenway over the river. 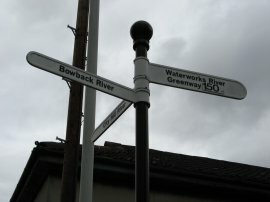 Besides the road was a signpost pointing along the various rivers, photo 58. From Blaker Road I then headed to my left along the Waterworks River and crossed over the Greenway. The path alongside the Waterworks River on the other side of the Greenway was very overgrown and looked to have been little used recently, photo 59 and after a short distance I gave up my struggle against the plants that had encroached upon the path, photo 60. Although the gate onto the path from the Greenway had been opened and unlocked I was unsure if it really was still in use even though the official closure was the following day. 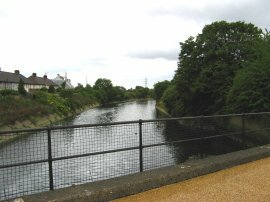 Later on in the day when I passed by the other end of the Waterworks River by Carpenters Road the entrance to the riverside path was well and truly blocked off which meant I would have had to retrace my steps even if I had persevered along the path. Leaving the Waterworks River I headed the short distance down the Greenway, photo 61, to Stratford High Street and out of the Olympic Park site. Crossing over the road I headed a short distance to the right before joining the path that runs besides the Three Mills Wall River, photo 62. 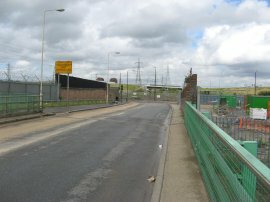 Photo 63 shows the bridge over the entrance to the Prescott Channel on the left. 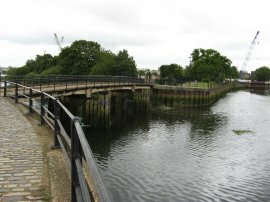 At the moment the Prescott Channel, Three Mills Wall River and Waterworks River are tidal however a lock and water control structure are being built at the other end of the Prescott Channel as part of the Olympic Works. 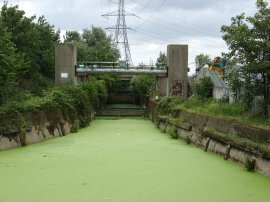 The aim is to maintain the water level to allow the waterways to be used to transport materials for the Olympic Park construction project. 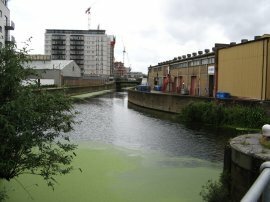 Photo 64 was taken looking down the Three Mills Wall River towards the Three Mills at Bow and photo 65 looking along the Prescott Channel. 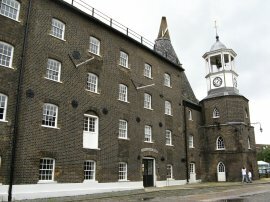 I then headed down towards the Three Mills Island. 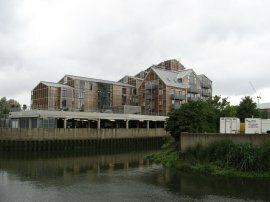 Just before the mills are reached I passed a large new housing development that had been built on the right hand bank of the river, photo 66, which was rather out of keeping with the rest of the area. 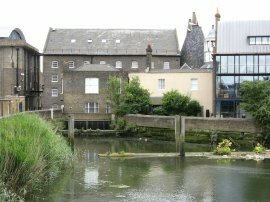 The mills at Three Mills Islands were tidal mills and it is likely that there have been mills on the site since Doomesday. 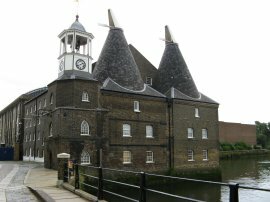 The current House Mill was built in 1776 and the clock mill in 1817. Photo 67 shows the rear of the House Mill and the channels that run underneath the buildings to power the mill machinery. Photo 68 which was taken just to the left of the previous photo show the tidal channels that run under the Clock Mill. 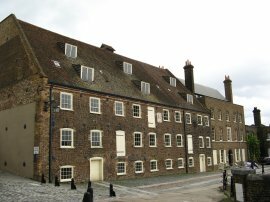 Photo 69 was taken fromteh courtyard between the House Mill and Clock Mill. Photo 70 shows the downstream side of the clock mill and photo 71 is of the front of the House Mill. 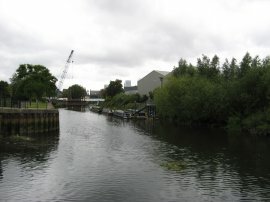 From Three Mills Island I had hoped to follow the path that runs around the side of the island, cross over the Prescott channel and then head up besides the Channelsea River besides Mill Meads however due to the building works mentioned earlier this was not possible. 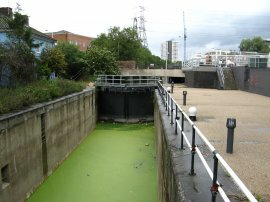 Currently there are no towpath diversions due to the lack of practical alternative routes however this area is outside the site of the Olympic park and the paths are currently scheduled to re-open on 30 Sept 08. 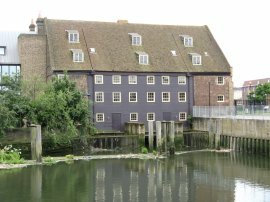 Instead I retraced my steps back up the Three Mils Wall River to Stratford High Street and crossed over to Blaker Road and the City Mill Lock. 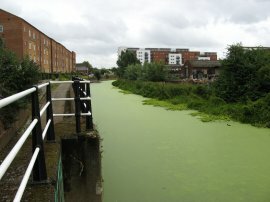 Photo 72 was taken looking down the lock towards Blaker Road. 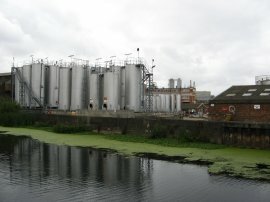 From the lock I headed down besides the Bow Back River to Pudding Mill Lane. 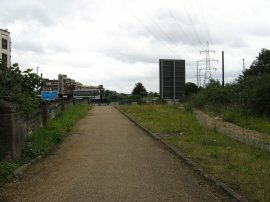 Beyond Pudding Mill Lane there was no towpath alongside the river as it headed on to join the River Lea, photo 73 and I turned right to continue my journey along Pudding Mill Lane, photo 74, where once again I entered into the site of the Olympic Park. 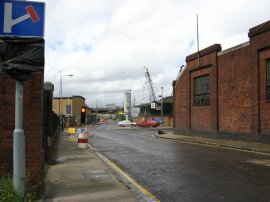 Heading up Pudding Mill Lane I passed the Pudding Mill Docklands Light Railway station, photo 75. A little further on the road curves slightly to the right and passes under the pipes of the Northern Outfall Sewer, photo 76 before continuing ahead into Marshgate Lane. 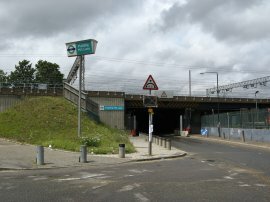 Photo 77 was taken a little further up the Marshgate Lane at the junction with Knobbs Hill Road in an area that is going to be almost directly under the site of the Olympic Stadium. 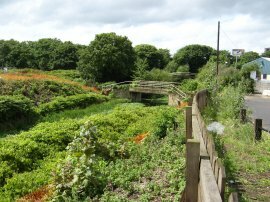 To the left of the road ran the almost completely overgrown remains of the Pudding Mill River, photo 78. 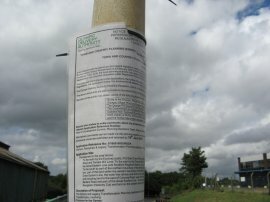 Photo 79 shows another of the compulsory purchase order and development notices stuck across the site, this one detailing changes to the environmental impact assessment and giving details of the works and how members of the public could comment on the changes. Nearing the end of Marshgate Lane I crossed the bridge that runs over the Waterworks River, photo 80. 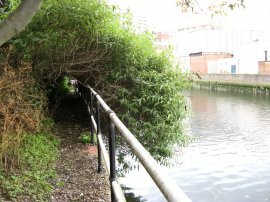 As mentioned earlier the entrance to this end of the towpath which ran along the right hand side of the river was securely blocked, preventing any attempt at access. Photo 81 was taken from the bridge looking down Marshgate Lane, over Carpenters Road, in the direction of the channel tunnel rail station. 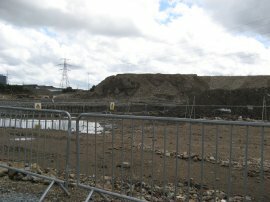 There has already been a lot of preparatory work in this area and to the left of the Waterworks River much of the land has already been cleared, photo 82. 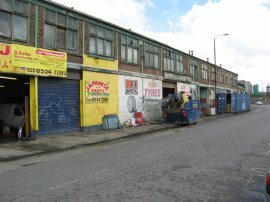 From Marshgate Lane I turned right into Carpenters Road where a few of the small businesses that line the road where finishing their last days trading, photo 83, before the gates close, a sight that was proving very popular with the photographers. 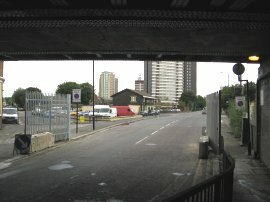 Photo 84 was taken looking down the rather dreary Carpenters Road towards Stratford. 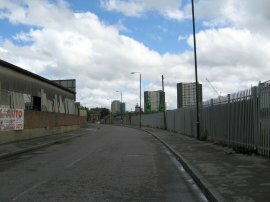 The next two photos were taken as I walked down Carpenters Road towards Stratford. 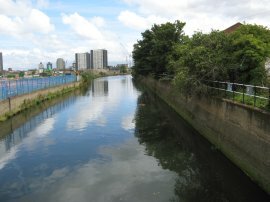 The area around photo 85 will be the site of the Olympics Aquatic Centre. Photo 86 was taken at the junction of Carpenters Road and Warton Road. Reaching the Stratford Bus Station I had walked a total of 9.34 miles. Not a very long walk but a very interesting one in an area that is going to look very different in the future. It will be interesting to see how the site develops over the coming years and what will happen once the Olympic Games have been held.